Totem got a few new features recently, courtesy of new contributors (which is a nice thing to see). The first one to get committed was the tracker-powered video search sidebar, by Javier Goday. Unfortunately, I don't have any nice screenshots as tracker seems to want to index everything but my videos directory. 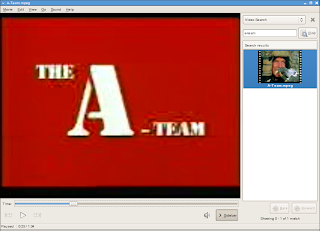 The other one is a long standing feature request, with the patch provided by Kamil Pawlowski, adding a menu item to select a text subtitle for video files. This means you can get subtitles for your legally downloaded video files, with the typos free of charge. Now it just needs support for changing the color of subtitles. That would be really great. Any way to specify the subtitle encoding type? I assume it defaults to UTF-8 but if the subtitle has some other enc type then they're not displayed very nicely :( I'm using the gstreamer backend. > Any way to specify the subtitle encoding type? The only Encoding I see there is UTF-8... how is the list populated? It could just be a bug of my distro (opensolaris). > The only Encoding I see there is UTF-8... how is the list populated? It could just be a bug of my distro (opensolaris). Selecting subtitles is great and a necessity. Video search however sounds like feature creep. Shouldn't search be a separate app? Should every app really have it's own search?